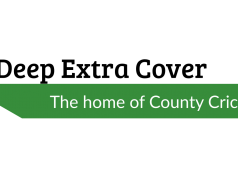 By all accounts, Lancashire have exceeded expectations in the Specsavers County Championship this season, clinching a second place that few would have thought possible at the start of the season. 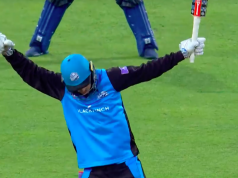 After watching his side beat Surrey at Old Trafford in the final match of the season, head coach Glen Chapple was quick to look at where his side can look to go one better next season. In his first year in the job, Chapple reflected on a big stride forward for his side. 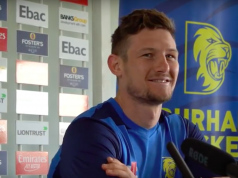 “I’m proud of how the players have performed and the way they’ve given everything in four-day cricket especially,” Chapple said. “They’ve been determined and resilient, not taken a backwards step. We’ve had tough days and tough matches but the hunger has been there all year, and to come second in a tough division we have to be pleased with our efforts. Lancashire finished 72 points adrift of champions Essex, who picked up a remarkable ten wins this season, but up until Lancashire’s defeat to Somerset a couple of weeks ago they were battling the Chelmsford side for the title. Chapple expects next season to be just as competitive as Division One was this year, with two teams out of eight relegated from the top flight and feels any side could win it. “Essex have got on a roll, but we feel that we had the better of both games against them,” he said. “So that shows there’s no gulf in class. You get on a roll and get confidence, and that’s a big plus for them. “You can be safe in the knowledge that any team could win the division next year. Don’t for one minute think it will be Lancashire and Essex at the top because it could be any of the eight. Lancashire’s impressive finish was built primarily on their home form, with all five of their wins in the Championship coming on home soil – including one victory at Southport. It’s the first time since 2000 that Lancashire have won four Championship matches at Old Trafford in a single season, but Chapple is aware that an area for improvement is picking up victories on the road. “From this season we could look at our away form,” he admitted. At the start of the season Chapple spoke of his ambition to have his side filled with as many home-grown players as possible, and his desire to help young players improve. It’s been a season where the Old Trafford side have blended youth with experience, and the progression of their younger players has been clear for all to see. 23-year-old wicketkeeper and opening batsman Alex Davies has passed 1000 first-class this season, becoming the first Lancashire keeper ever to do so. Add to that the constantly-improving batsman Liam Livingstone, who also took a career-best 6-52 to help beat Surrey, as well as the emergence this season of exciting leg-spinner Matt Parkinson and there is reason for optimism looking forward. Chapple expressed his pleasure at the way the younger members of his squad have performed this year and is keen to help them keep improving. “I think we have to be pleased with the players’ development this year. “Our top four is full of home-grown, impressive young batters. I don’t think we can be questioned on that front. We’ve done both competing and developing players this year and hopefully that will continue.